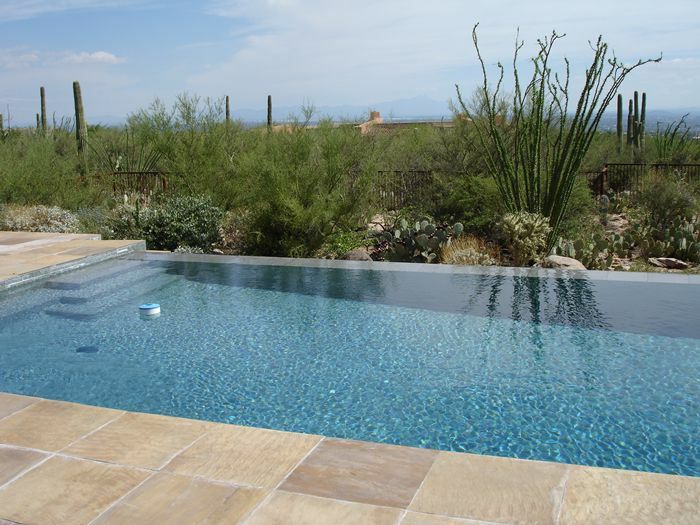 Cimarron Circle has always been on the leading edge of pool building technology. Today, the most sophisticated geometric pools have such features as glass walls, negative edges, vanishing edges with water overflow, water features embedded in the natural landscape, etc. 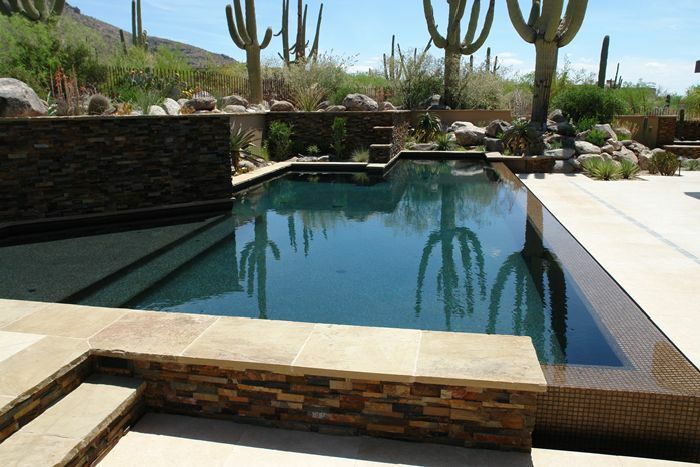 As the technology challenges evolve, with new materials and techniques coming of age, pools become increasingly complex systems designed to create a huge visual impact while conserving energy and easing up maintenance chores. 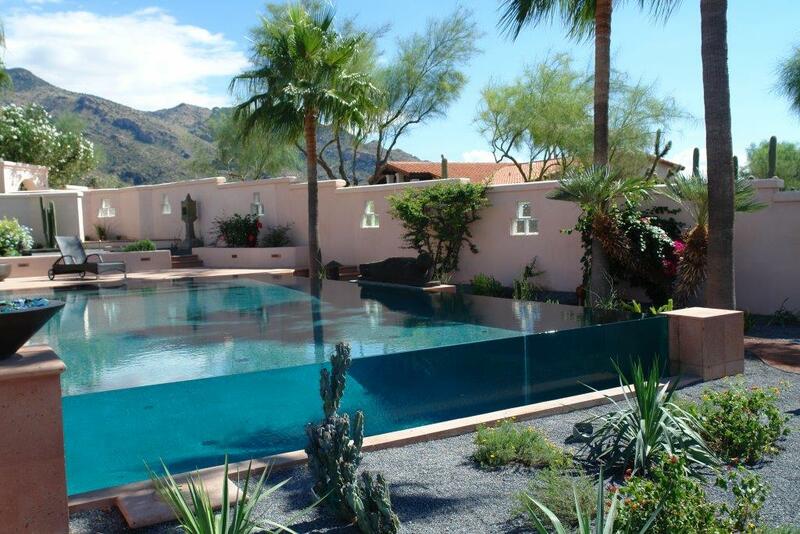 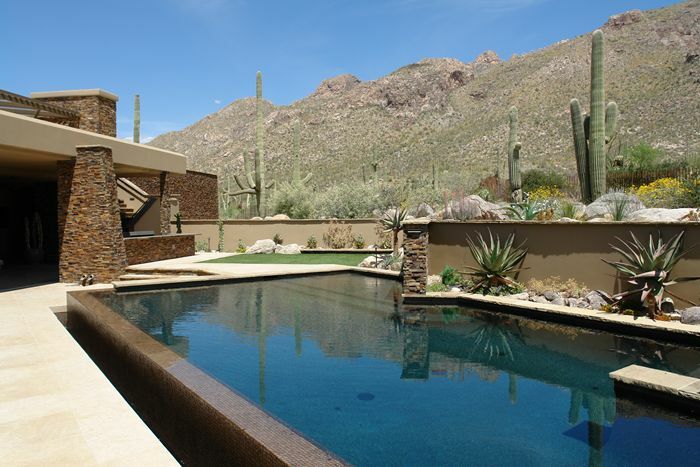 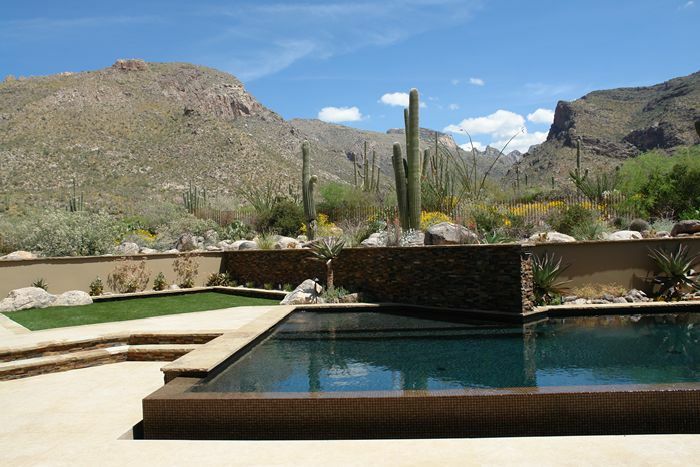 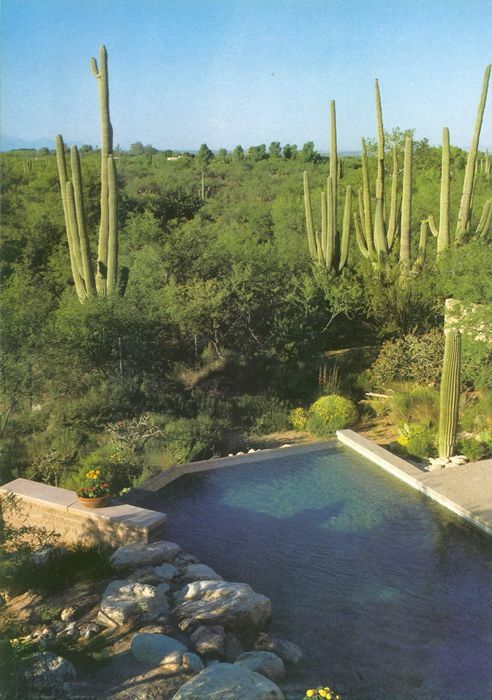 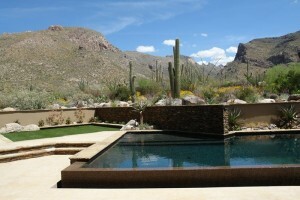 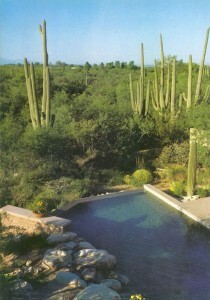 The gallery below shows some of the most spectacular geometric pools we built in Tucson, Marana and Oro Valley in the last 10 years. 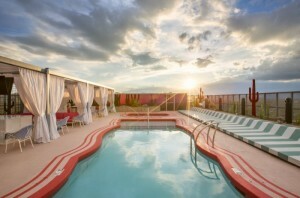 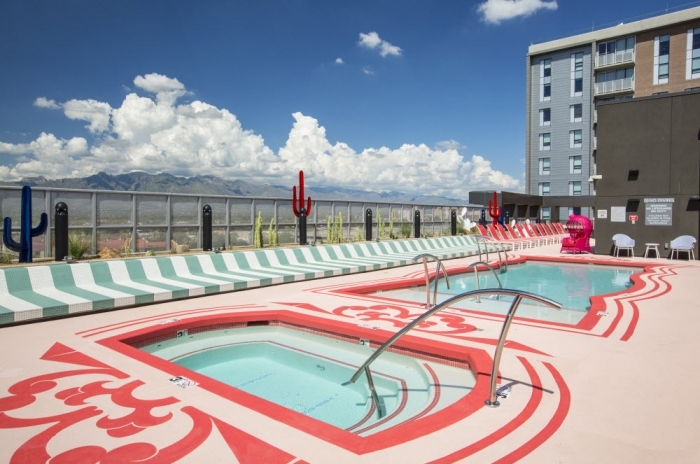 You will see fine examples of glass wall pools, including 2 spectacular rooftop pools we built on the high floors of two student housing structures for the University of Arizona. 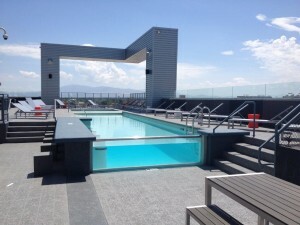 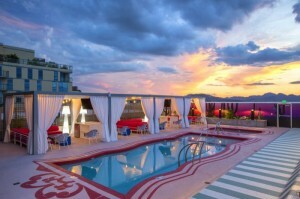 Rooftop pools have their own very unique engineering challenges. 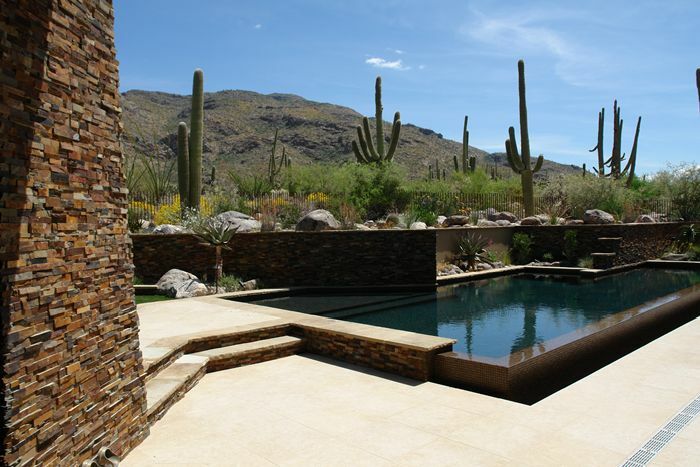 We are proud to say we are the only Tucson pool builder to have met these challenges with 100% success. 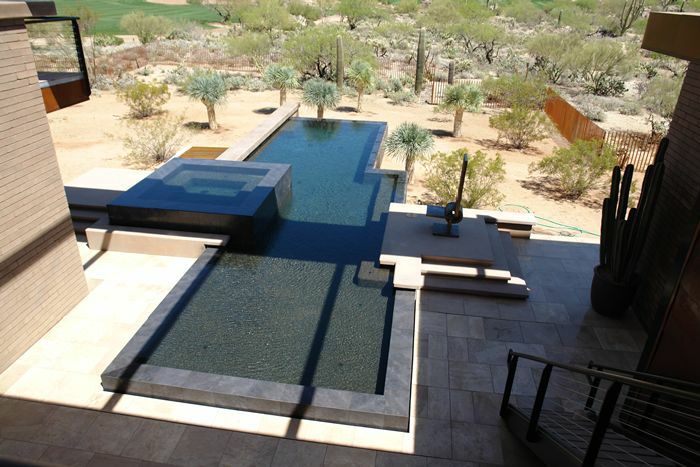 Among the geometric pools featured in the gallery, several are pool and spa combinations. 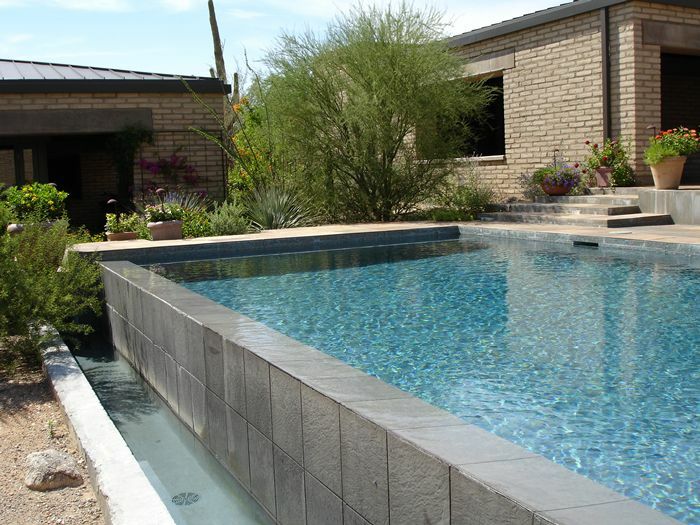 Many home owners like the pool and spa combination for its social benefits as well as for the comfort it brings to a home. What better way indeed to end a day than appreciating a glass of good wine in the warm water of a heated spa overlooking spectacular desert views? 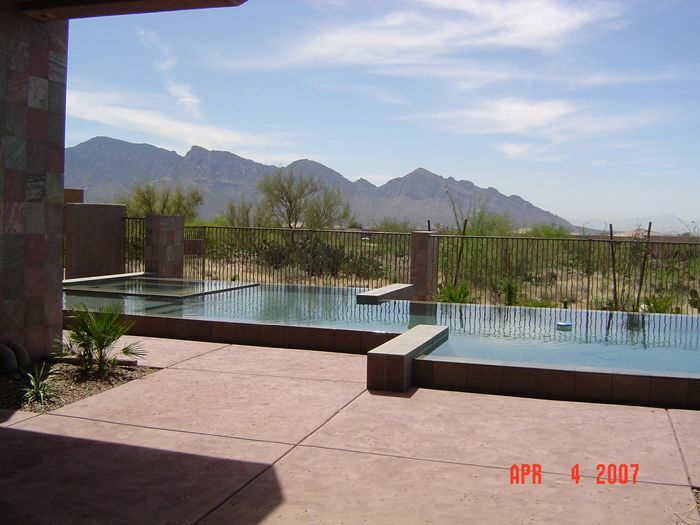 Some of the photos show the technical side of vanishing edge pools: water flowing over the edge into a trough where it is pumped back into the pool with minimum loss due to heat. We hope this gallery will inspire you to make plans for your own spectacular pool. 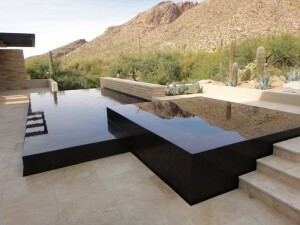 We are here to help you get from conceptual design to reality in the shortest possible time, with the least possible risk and a 100% success rate. 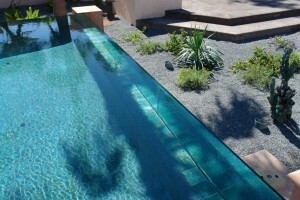 Your pool will look incredible, and may even stir up a bit of jealousy in your guests’ innermost. 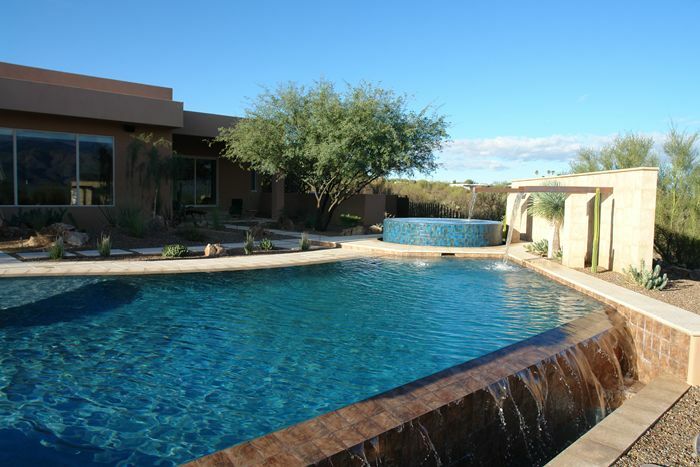 Call Rob Staples at Cimarron Circle at (520) 881-2777 to discuss your plans and receive sound advice. 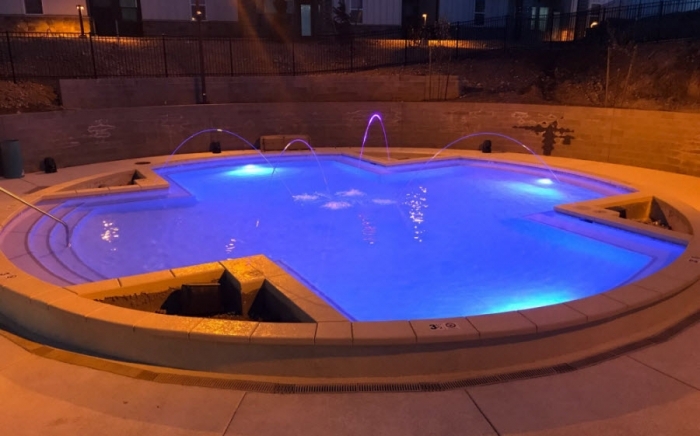 Cimarron Circle devotes a part of its annual operating budget to stay on top of current pool engineering techniques, city and State codes, and avant-garde design concepts. 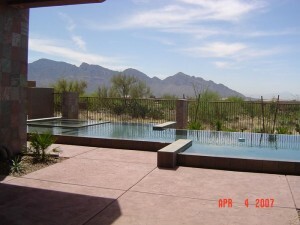 This investment explains why Cimarron Circle has an impeccable reputation in Tucson and Southern Arizona. 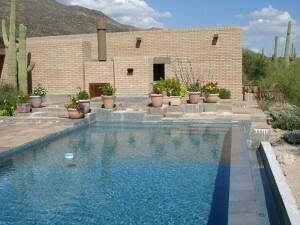 Check out our A+ rating at the BBB and our 5-star rating on Yelp.